Tasting #3 – Are the 2005s alive? 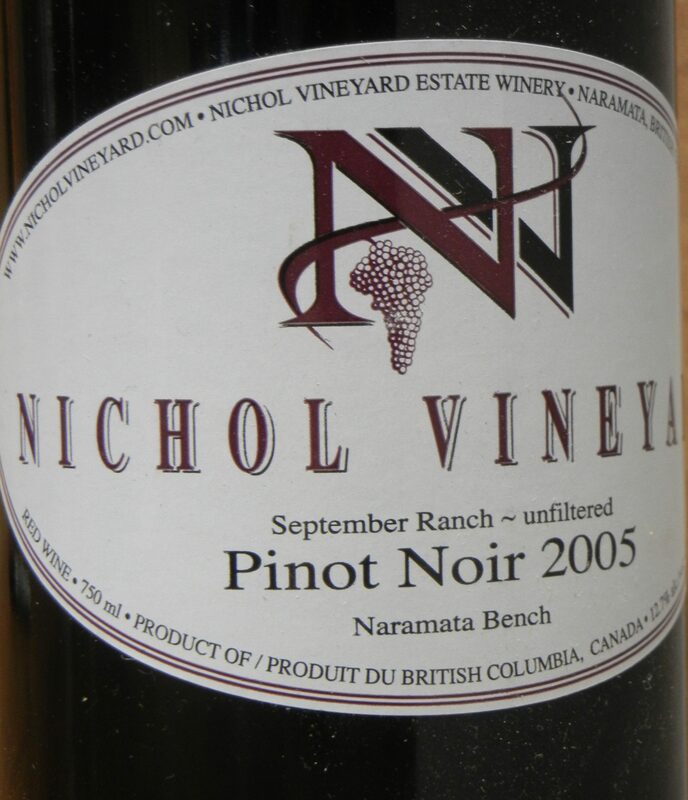 Digging back to 2005, for wines from the Cowichan Valley, Saturna Island and the Okanagan. Tinhorn Creek have also been making pinot noir in the Golden Mile for a long time. Their inaugural pinot noir vintage was in 1994. They own approximately one hundred and fifty acres on both sides of the Okanagan Valley just South of Oliver. They make two pinot noirs, an entry level estate bottling and their premium Oldfield Series wine, produced from twenty year old vines. Nk’Mip Cellars was North America’s first winery owned by Aboriginal people. It began in 2000 as a joint venture with a company called Vincor that became Constellation Brands and is now known as Arterra. The grapes for all of Nk’Mip’s wines come from their own vineyards. There are about 20 acres of vineyards that surround the winery in Osoyoos but most of their grapes come from select blocks that are a part of a carefully managed 40 acres inside the large 130- hectare (320 acre) Inkameep vineyard just North of Oliver on the Eastern side of the valley. The Inkameep vineyard was first planted here by the band in 1968, making it one of the first vinifera vineyards in the South Okanagan. The vineyards are on a remarkably large, fairly flat sweep of land at an elevation of about 350 Meters that faces West. The winemaking at Nk’Mip has been remarkably consistent, not surprising since Randy Picton has been the only winemaker since the winery opened in 2002. Randy was recruited from Cedar Creek where he worked under the tutelage of Tom DiBello. The two vintages created before opening were under the hand of Bruce Nicholson, then the winemaker at nearby Jackson-Triggs.